People sometimes grind their teeth or clench teeth. In medical terms, it is known as bruxism. It is not an issue if it happens often. But some people may develop a habit like teeth grinding which will affect their overall dental health. Let us discuss the reasons and the treatments for teeth grinding problem. 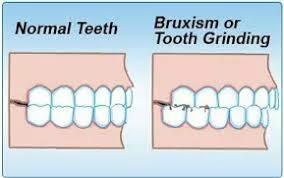 Teeth Grinding is the main sign of the condition Bruxism. Teeth Grinding or Bruxism is usually done unconsciously in your sleep. 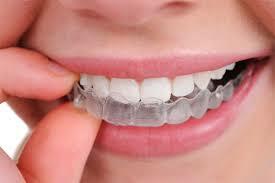 Teeth Grinding or Bruxism treatment is available in the all smiles Dental spa center. The reason for teeth grinding varies from person to person. In some people, it may be due to stress or anxiety. Some may have a tendency to grind teeth because of missing teeth or crooked teeth. The teeth grinding occurs while in sleeping may be due to some sleep disorders like sleep apnea. Usually, the teeth grinding happens during the sleep time. If nobody shares your bed, that means if there is no other person sleeping in your room you can’t find it out properly. If your dear ones tell you that they are hearing some noise while you sleep like teeth clenching or grinding immediately visit your dentist. Or else if you have a sore jaw, or a constant headache when you wake up in the morning it can be a symptom of bruxism. A dentist can check your jaw or mouth to identify the other symptoms of bruxism. The chronic teeth grinding is a situation needs treatment. There is a chance of fracturing, teeth loosening or loss of teeth occurs. To control teeth grinding or other issues related to teeth grinding we need to use bridges, crowns, root canals, implants or dentures. If we neglect this situation the teeth may wear down to stumps.bIt also makes disorders to jaws. 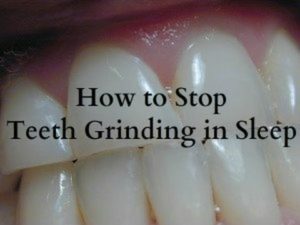 Tips to stop teeth grinding? Usually, dentists will give a mouth guard to protect your teeth from this habit. You need to wear this while you sleep. If your stress or anxiety is the reason for teeth grinding you need to discuss with your dentist or doctor about it. You can also go for a counselling or start a mind refreshing exercise program. Yoga, meditation etc will give good results to control your stress. If you have any sleeping disorders, then at first you need to treat that problem. Gradually the bruxism will be cured. Avoid chewing anything other than food (like a pen or pencil). Also, avoid chewing gums. This will makes the jaw to accept the habit of teeth clenching. Control teeth grinding habit if you are doing it in the daytime. Whenever you start to clinch the teeth immediately put the tongue in between teeth so that your jaw can relax. At night hold a warm washcloth against your cheek in front of your earlobe in order to relax the jaw muscles. Teeth grinding is common in children. At 2 stages of the growth, they will do it. when their primary teeth emerge and when their permanent teeth emerge. It is due to certain irritations they have at that time. After that, they will forget about teeth grinding. They will grind the teeth in sleeping hours. The major reasons are due to the alignment issues or any illness or due to nutritional deficiencies etc. 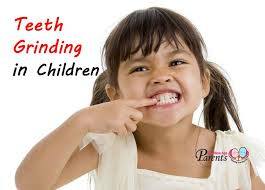 The teeth grinding in children has less effect. But there will pain in the jaw or headaches or wounds in the teeth. Try to reduce the stress of children if any. Massage the jaw and cheeks to relax the muscles. Give them more water. Dehydration may cause teeth grinding in children. Discuss this topic with your dentist for a better solution. For older children, the teeth grinding can be controlled by using some mouth guards or temporary crowns. To get more information regarding teeth grinding to make a call or visit All Smiles Dental Spa.